Although hearing aids are equipped with the latest technology, daily use over a prolonged period of time can slowly wear them down. All hearing aids will need to get repaired at some point, even with meticulous care and attention. When the device fails to turn on or produce sound and you have tried everything in the manual to get it to work, it is probably time to visit us for repairs. We can check your devices and determine whether it will be a quick fit in-house of whether they need to be sent back to the manufacturer for a more comprehensive repair. For small repairs, it is likely we can do it in the office, which means you can get your hearing aids back to working order in double quick time. We have experience with all the major hearing aid brands. All hearing aids come with a warranty. If your device is still within its warranty period, then in most cases the repair will incur no cost to you. 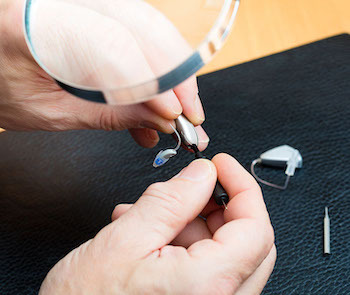 For those outside the warranty, bring your hearing aids in and we can tell you how much the repair is likely to cost. This depends on the severity of the problem and whether the unit will need replacement parts from the manufacturer. The hearing aid evaluation consists of several steps. On the day of your hearing test, a case history will be taken to determine how much your hearing loss impacts your day-to-day life as well as the lives of your family. A complete history will be taken, and questions will be asked about when and how the hearing loss started, if there is ringing in your ears (tinnitus) and if you experience dizziness. You may also have to provide some basic questions about your general health history. We may then administer a Diagnostic Auditory Evaluation. This is a quick and non-invasive test. One of the tests involves sitting in a quiet room with a pair of headphones and listening to a series of tones at different pitches in different ears. When you hear the sound, you push a button. This test helps us determine the extent and nature of your hearing loss, if any exists. 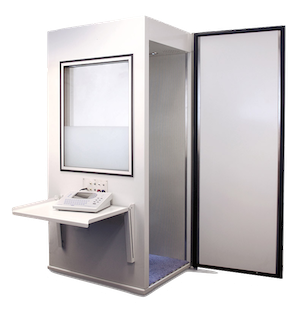 Following the test, you’ll be given a visual representation of your results and have time to discuss the next steps if there is hearing loss present. If hearing aids are needed, then we will go through all options with you based on your financial circumstances, the level of hearing loss and features needed. In many cases you will be able to try a hearing aid for a period of time to see if it works for you before you commit to a purchase. 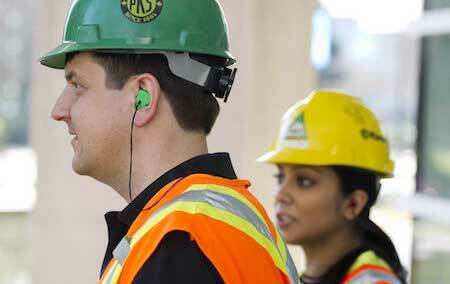 Noise induced hearing loss is a wholly preventable form of hearing loss that is one the rise. Many different groups are at risk, including people who work in certain occupations and people engaged in certain recreational activities. The best way to protect yourself is by using adequate hearing protection, built specifically for your ears and your needs. This provides a higher level of protection and comfort than conventional ‘one size fits all’ hearing protection available on the mass market. We offer custom protection for those who engage in recreations such as hunting, live music performance and motorbike riding. The earplugs are custom-molded to your exact ear shape, so you can be sure you are getting the maximum level of noise reduction possible. For a complete list of the types of custom hearing protection we offer, don’t hesitate to contact us. 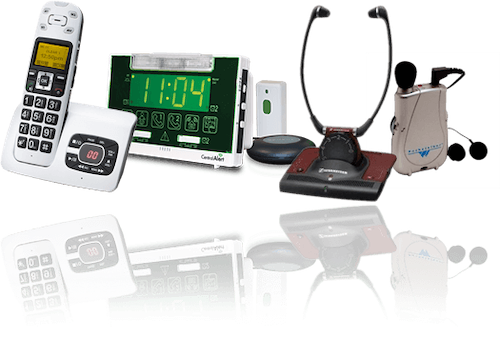 We stock a variety of assisted living devices just for you. Please don’t hesitate to get in touch to hear about which of our options may work for you.